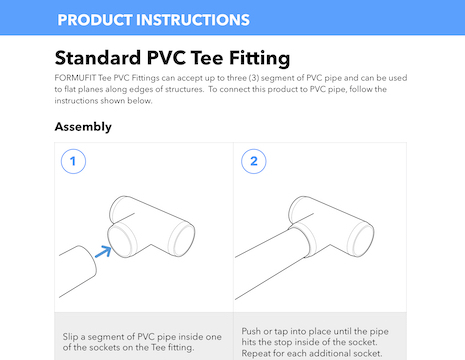 FORMUFIT structural 3/4" Furniture Grade PVC Tee fitting joins 3/4 in. 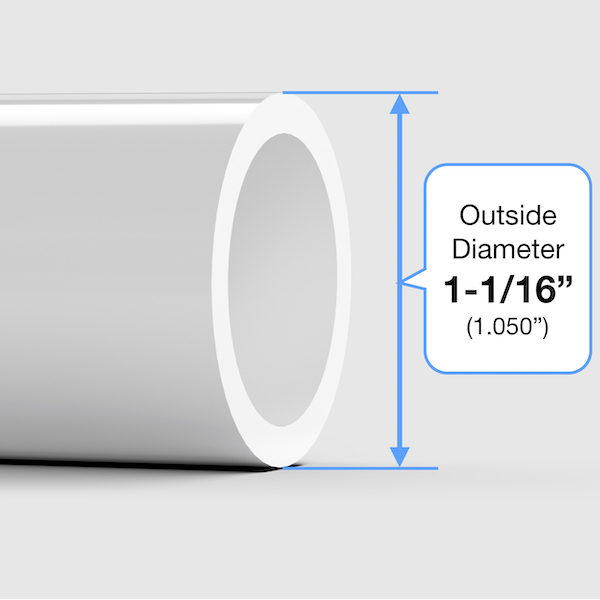 Size PVC pipe at three points for frame and structure interconnections. 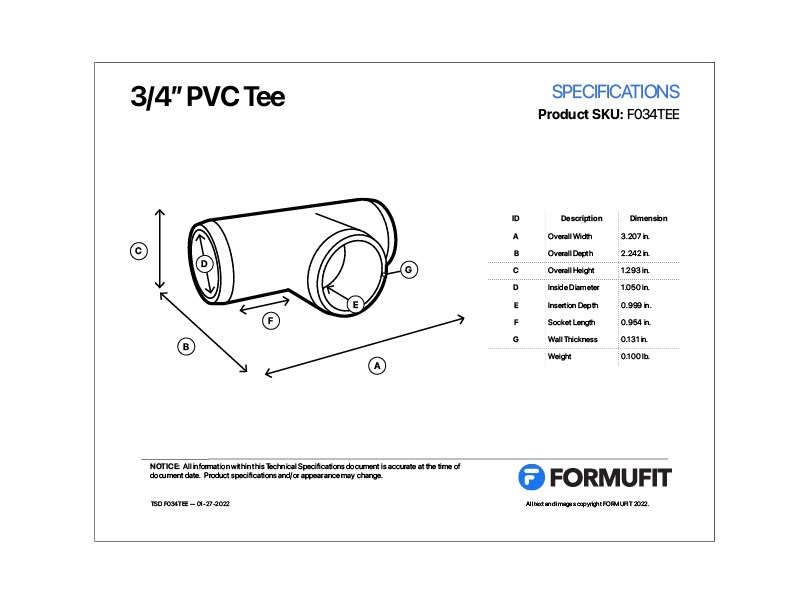 All three sockets of the PVC Tee are on the same plane.